Yogayajnavalyka Samhita is considered one of the most ancient yoga texts. This work is presented in the form of a dialog between the great sage yajnavalkya and his wife, the learned Gargi. The text has his wife, the learned Gargi. The text has twelve chapters and presents many yoga concepts that are unique to this work. This apart, it also presents ideas that are different from other popular yoga texts. This book presents the text with in its original form with all the sloka-s, along with transliteration and translation in English. Son and Student of T Krishnamacharya, TKV Desikachar spent nearly three decades studying the different aspects of yoga under his teacher. 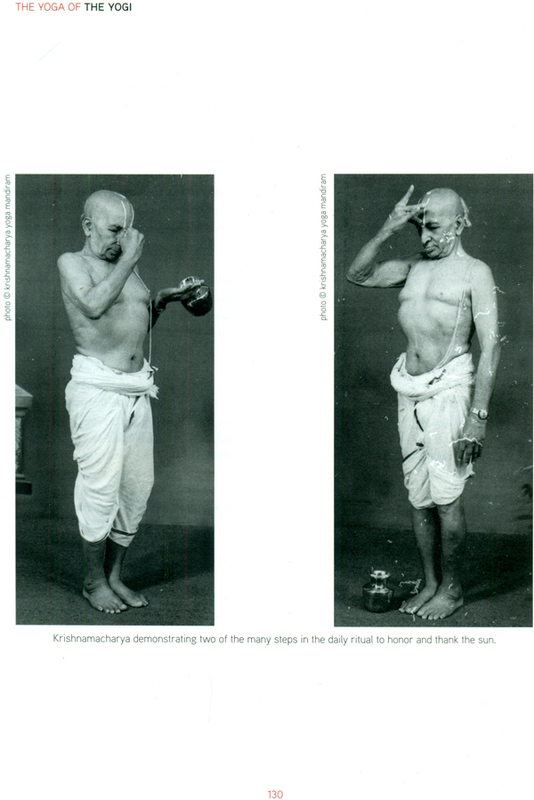 In 1976 he founded a non profit institute Krishnamacharya Yoga Mandiram, to share the vast teaching he had received from his father, his teacher, He teaches yoga all over the world and has authored many books, which have been translated into more that one languages. He has based this translation on the studies he had with his teacher. One of the oldest texts on Yoga, the Yogayajnavalkya Samhita, is a dialogue between the great sage Yajnavalkya and his learned wife Gargi. Considered as one of the most learned women of all times, Gargi poses questions to her husband, on how to reach the highest. Yajnavalkya shows her the way patiently and systematically, through the twelve chapters of this work. This is the first time this composition is being translated into English. There was no complete manuscript available for a long time, and only two versions were available that were nearly complete. Thanks to the efforts of Sri T Krishnamacharya, the greatest yogi of the last century, this translation has been possible. As there was no manuscript that was both complete and accurate, he wrote the entire manuscript by hand and taught his son and student, TKV Desikachar. He even corrected and filled up the gaps of the manuscripts that were available those days. This English translation by TKV Desikachar, is based on his father's notes. The text is in poem form and hence the translation is not word to word. In places where a group of sloka-s have to be combined to have the complete meaning, it has been done so. Similarly in places where the stoke-s need to be divided, and grouped with the previous or the following ones, it has been done so. This has contributed towards the easy understanding of the text. As the editorial team, we have been through the book many times to discard errors that always crept in. However in case a few have slipped our eyes, we ask the reader to forgive us.